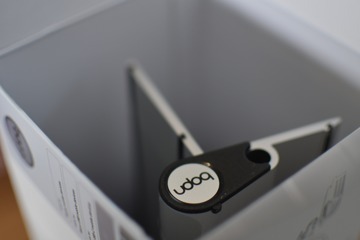 The Udoq, which comes in four different lengths, reminds me almost of a chalkboard tray. 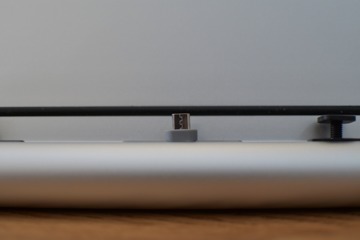 It is long, narrow, and can charge almost anything you can throw at it. 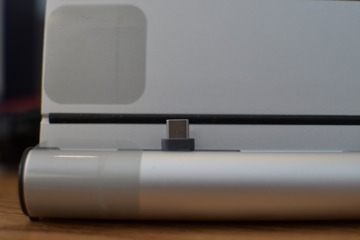 It works by way of adjustable adapters that are inserted along the end. 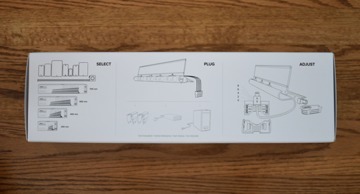 Each adapter holds a compatible cable, which could be Lightning, USB-C, micro USB, or even the legacy 30-pin connector. 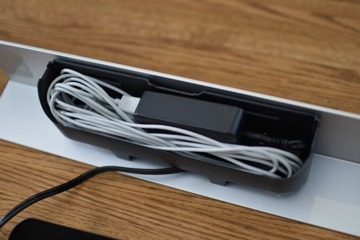 All of the cords route underneath and connect to a USB charging brick. 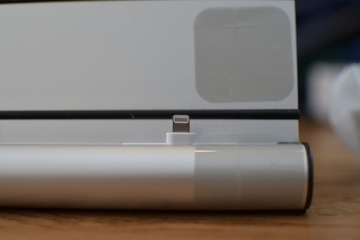 The charger that is hidden in the back, is actually a charging brick from RAVPower. 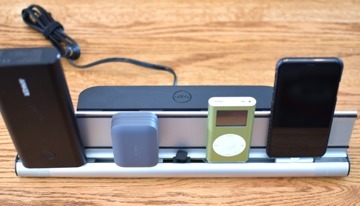 RAVPower makes some great charging accessories, so that is actually a point in the Udoq's favor. 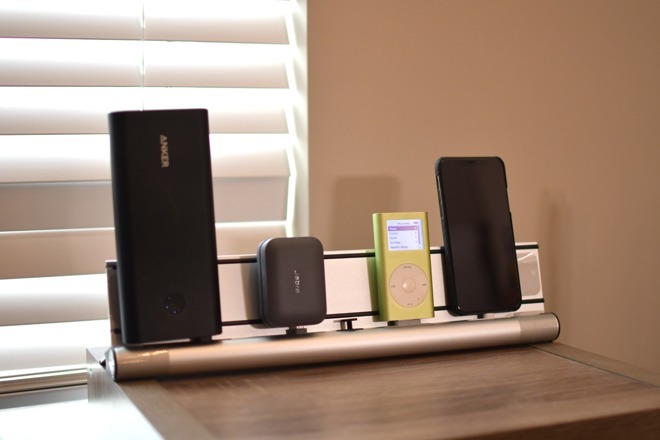 We tested the Udoq 400, which can power four devices, though could hold even more. In our quick testing, we noticed that the back portion that hides the rat's nest of cables was a little tricky to get into place, and continued to pop open. It took some rearranging of the cables inside to get everything to lie flat, and allow the cover to close. 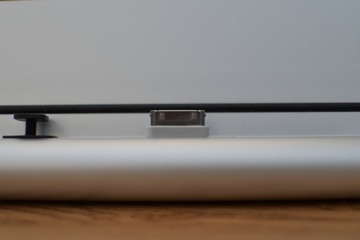 There is an adjustable spacer that you can place under one side of your device. This is great if you have a phone that charges on the side, or if you have something particularly large and offset, like the USB-C Anker battery we tried. They also have an adapter for the Apple Watch. 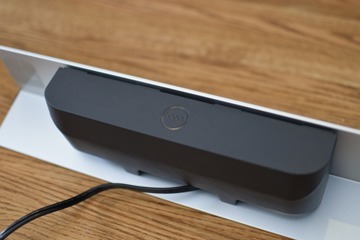 If you are using this on a desk or a nightstand, the Apple Watch dock is definitely appreciated. When you go to buy Udoq, they have pre-designed models, but they also have a configurator that is quite impressive. You choose your exact devices, how much space you'd prefer between them, and they assemble that exact one, in the exact size for your needs. How well this all will work over an extended test period remains to be seen. 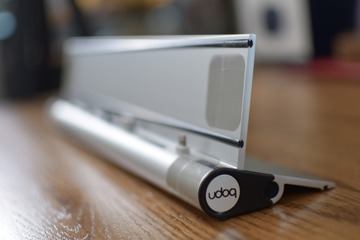 We will continue to test with the Udoq and have a full review soon. 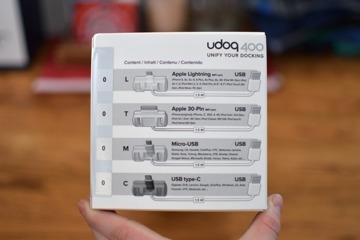 If you want to pick one up for yourself, they are available now from Udoq priced between $89 and $260 depending on your configuration and number of devices.